My character Flora is sent from her quiet life in the Lake District to stay with Alice Keppel, a notorious figure in London society. As Flora soon discovers, Mrs Keppel was a mistress of King Edward VII, more commonly known as Bertie, and he often visited her at Portman Square. Alice Keppel, though controversial, was a bright, sociable woman, whose energy was infectious. She hosted the greatest politicians and aristocrats in Europe at the time, and of all of Bertie’s mistresses, she was the most public. In 1897, Alice was introduced to Bertie, then Prince of Wales, who had been married to Princess Alexandra of Denmark since 1863. Alice soon became one of Bertie’s many mistresses. His pet name for her was ‘La Favorita’. Although rumours of the affair between Alice and Bertie were circling throughout London high society, it wasn’t until February 1898 that Bertie began to openly visit Alice at the Keppel home in Portman Square. In early 1901, Queen Victoria died and on 24th January, Bertie ascended the throne as King Edward VII. For the next nine years, Alice – and George – were an intrinsic part of the King’s court and seen at most of the King’s social gatherings. The King’s chief financial advisor, Sir Ernest Cassel, also helped Alice with her investments, making her a very wealthy woman. Alice and her daughters accompanied the King on his an-nual visits to Biarritz, France, where she was treated like a queen. Bertie allegedly sired an illegitimate child by his mistress – Lady Susan Vane Tempest in 1871 was said to have given birth to his child in Ramsgate, but nothing more is known about the fate of the baby, and Lady Susan died in 1875 taking her secret with her to the grave. In his later years, the King’s health began to fail. Always fond of food and drink, he had become overweight, and continued to smoke his favourite cigars despite being diagnosed with bronchitis. On 6th May 1910, the King suffered two heart attacks, before slipping into a coma. 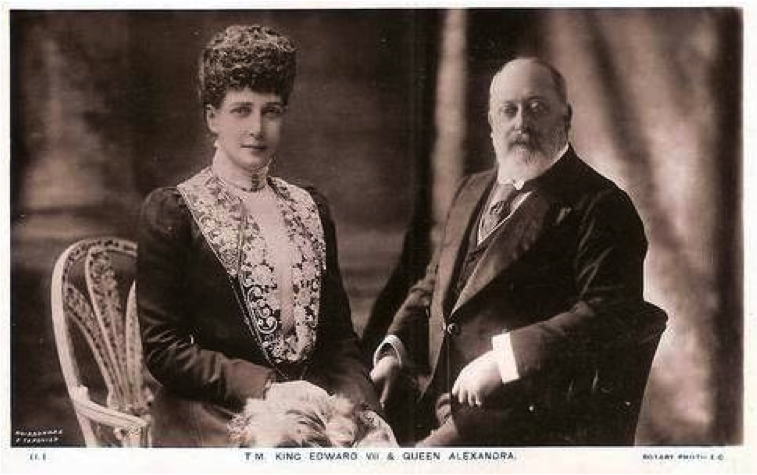 Alice begged Queen Alexandra to be allowed to see the King, and showed her a letter that Bertie had written to her in 1902 as proof that he wanted her by his side. There are varying witness reports of what actually happened, but it is said that a hysterical Alice had to be dragged from his room by palace guards. The King died at 11.45 that night. There was said to be a large amount of money left by Sir Ernest Cassel beside the King’s bed at his request. It is rumoured that this money was intended for Alice Keppel, but that the King died before he could hand it to her. 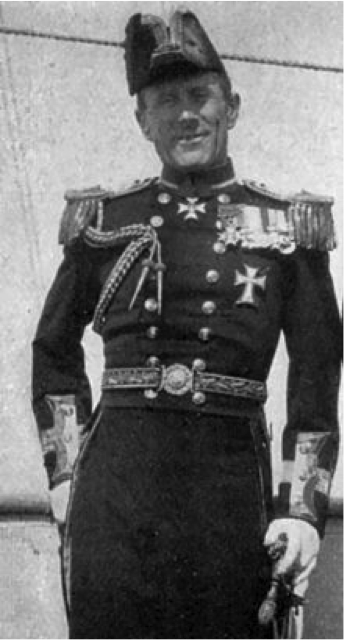 It was subsequently returned to Sir Ernest Cassel by the dead King’s equerry. Shunned from the court formed by the new King and Queen, George V and Mary of Teck, Alice and her family withdrew from London society and travelled through Italy, Algiers, Ceylon, the Far East and China for the next two years. In 1912, they moved back to London and during the First World War, Alice once again held regular dinner parties and hosted weekends for diplomats, politicians and war correspondents. In 1927, Alice moved to Florence, Italy where they lived, with the exception of returning to the UK during the Second World War, for the rest of their lives. When King Edward VIII announced his abdication over his intention to marry the American divorcée Wallis Simpson, Alice Keppel was heard to say, ‘Things were done much better in my day.’ She died on September 11th, 1947, and was buried at the Cemeteria deli Allori in Florence, near her home. The story of Alice and Edward – the former Prince of Wales – is linked to the current Prince of Wales, Prince Charles, and his second wife Camilla, the Duchess of Cornwall. Alice Keppel was Camilla’s great grandmoth-er while Edward VII was Charles’ great-great grandfather. And by a bizarre twist of fate, the two women, related by birth but born decades apart, both became mistresses of a Prince of Wales.